We hear all the time that it's hard to diagnose fibromyalgia because it's similar to so many other conditions. One of those similar conditions is polymyalgia rheumatica (PMR). It's possible that PMR could be misdiagnosed as fibromyalgia (or vice versa), or that either condition could be overlooked in someone who's already diagnosed with the other. These two conditions, however, are very different and require different treatments. Knowing the symptoms of both can help you recognize whether you may have a new or undiagnosed condition that needs to be addressed. PMR is an inflammatory disease that's believed to be autoimmune. It's seen almost exclusively in people over 65. Doctors may not even consider it in someone who's not a senior citizen. Among people older than 50, about 0.5 percent have PMR, making it a rare disease. (To give you a comparison, fibromyalgia impacts between two and four percent of the U.S. population.) However, a 2014 study in Rheumatology International suggested that PMR may be present in about three percent of people with fibromyalgia. If that's true, it'd make it considerably more common in this group than in the general population. Let's look at the information above, point by point, to compare these two conditions. PMR involves joint and muscle inflammation. 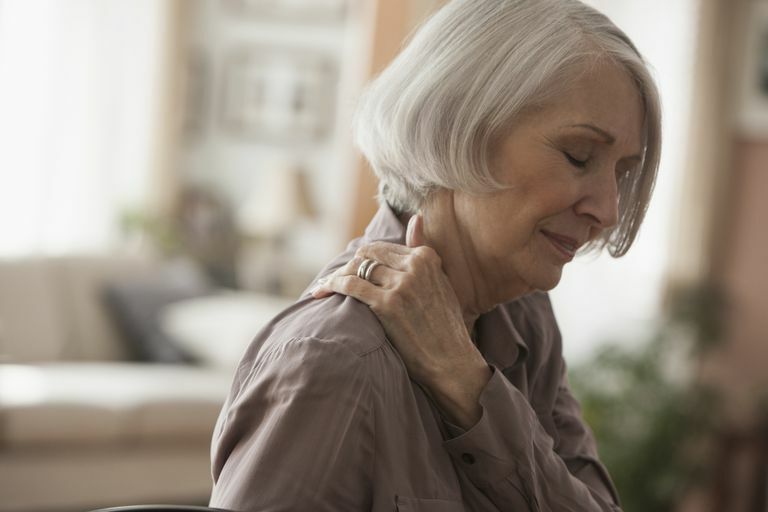 Fibromyalgia may involve inflammation of the fascia (a thin layer of connective tissue that surrounds muscles and organs,) but it's a much lower-grade inflammation than what's found in PMR. PMR has features of an autoimmune disease. Fibromyalgia isn't currently classified as an autoimmune disease but there's some evidence that at least some subgroups may involve autoimmunity. PMR causes pain and stiffness in specific parts of the body. Fibromyalgia causes widespread pain. Some people may have specific pain patterns, but this varies greatly from one person to another. No pattern is "typical" of fibromyalgia. PMR is generally treated with steroids and can often be well controlled. Some people with fibromyalgia may not tolerate steroids, but this is not a universal problem. Make sure to discuss treatment options, and any side effects you experience, with your doctor to determine the best treatments for you.